Our company can supply titanium tubes and pipes according the next standarts: ASTM B 338/337-95, ASTM B861-95, GOST 22897-86, GOST 21945-76, TU 14-3-820-79, TU 14-3-821-79 and etc. diameters from 5mm to 325mm and wall thickness from 0,5mm to 26mm. ASTM B 338-94, ASTM B 337-95 , alloys Gr.1, 2, 3, 7, 9, 11, 12, length – 1,5 – 10meters. GOST 22897-86 (cold-shaped tubes), alloys VT1-0, PT-7M, PT-1M, length – 1,5 – 8meters. d 13,8 х 1,5 х 1000-4000mm. 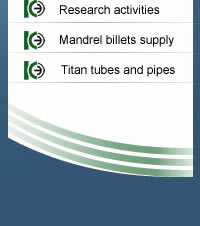 Our company can supply tubes of other alloy grades that are not mentioned above. 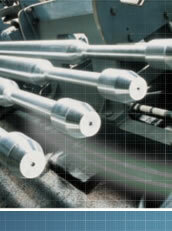 We additionally agree with Consumers supply of such kinds of tubes.